When it comes to a move—either local or long distance—you want to make sure you do your research on a moving company. You're looking for a reliable, affordable service that's going to meet your standards, and Verified Movers can help you achieve that goal. As an unbiased review site, Verified Movers gives consumers free and consistently updated information on moving companies. They research a bunch of important factors, provide some powerful resources, and help you make an important decision with ease. This company's mission is to recommend moving companies that stand out with their customer service and services and help eliminate the risks involved with choosing a not-so-great moving company. They do their own research on moving companies out there and hold companies accountable for their practices by writing a brief description of the company. They look into the company's services and their BBB rating, among other factors. In addition to their own research, they work with businesses and customers to reach the most transparency possible. Here's how they encourage that transparency. Verified Movers allows people to freely share their experiences and leave comments about their recent moving experiences on the website. That way, they're working with a constant stream of updates from real customers with important things to say. They also encourage moving companies to post about their services by creating profiles. This way, moving companies can easily share available services and quotes. Businesses cannot pay to have their reviews deleted or changed, so you know the information you're getting is legitimate. In addition to providing useful info on moving companies, all of Verified Movers' featured moving companies are automatically linked via their USDOT number. Once you go into a mover's profile, you can simply click their DOT number and be redirected to a safe, secure site that offers you some powerful information. In case you're unfamiliar, DOT stands for Department of Transportation, while FMCSA stands for Federal Motor Carrier Safety Administration. Basically, the FMCSA makes sure that carrier vehicles (i.e. moving trucks and vans) adhere to certain safety and insurance regulations. All moving companies that operate in the U.S. need to be registered with the Department of Transportation, by law. And each registered moving company goes through a series of steps to verify their identity and receive that USDOT number. As far as usability, it's extremely easy to sort your searches on Verified Movers to get the exact information that you need. You can search by state and by a mover, and they even offer a "Match" service that uses an algorithm to match you with the moving company that suits your needs. 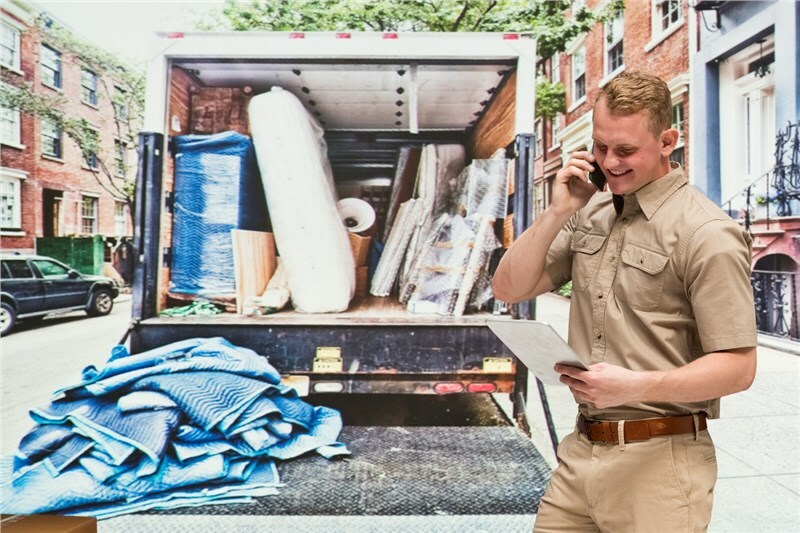 In addition to doing their own independent research on movers and allowing businesses and customers to chime in with their experiences, Verified Service offers a variety of resources for movers. On the site, there's a section for Packing Tips, an FAQ resource for the curious mover, and even a comprehensive Moving Checklist for those who need a place to get started. And their regularly updated blog has entertaining information on everything from travel to state-specific facts. At Solomon & Sons, we want to make sure that all of our customers receive the absolute best in service and pricing. That's why we recommend free sites like Verified Movers: so that customers can have the best, most transparent, and smoothest moving experience possible. Contact us for more information, or to start planning your next move.